It's time to fire up your iPhones and iPads for the first iOS update of 2019. This update contains a number of bug fixes, including issues affecting the Messages app, CarPlay, and HomePod. It also contains a number of patches for an array of security vulnerabilities. Check here for release notes. 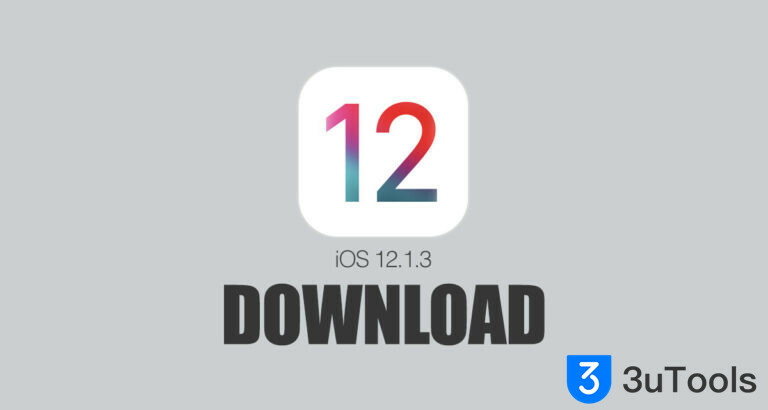 Here's how to install final iOS 12.1.3 to your iOS devices. Step 1 Connect your iDevice to PC with USB cable and launch 3uTools. 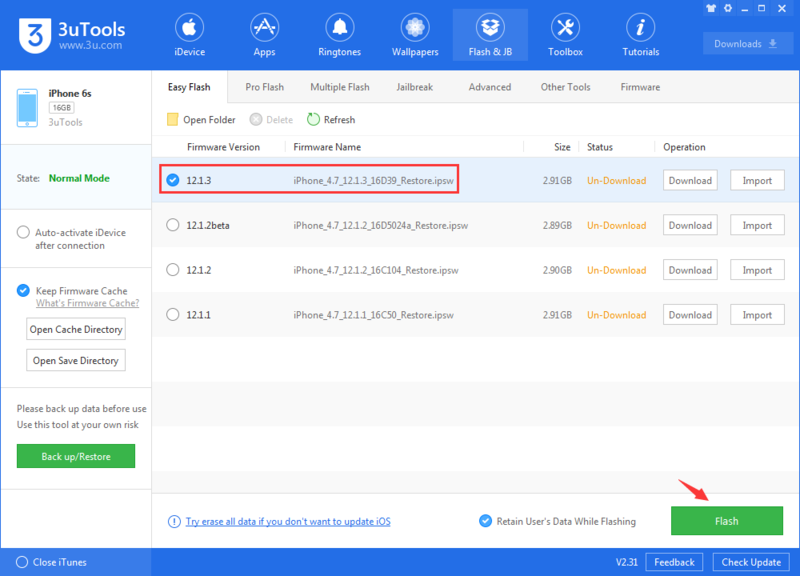 Step 2 Navigate to Flash & JB → Easy Flash and select the firmware iOS 12.1.3. There will be a popup after you click Flash, please read it carefully. If you want to save your data, please check the box "Retain User's Data While Flashing". Please back up your iDevice regularly just in case. Step 3 Keep a good connection and internet while flashing, wait patiently for around 5 to 10 minutes. Your device will be upgraded to final iOS 12.1.3 after reboot. Why Do I Need to Bind Apple ID Using 3uTools? How to register an Apple ID? 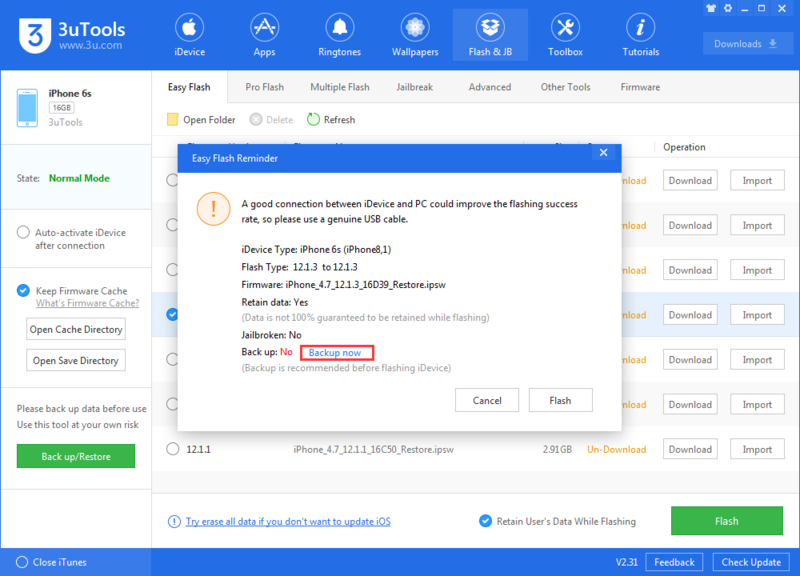 How to Downgrade iPhone 4 from iOS7 to iOS6.1.3 without SHSH Blobs Using 3uTools? Downgrade iPhone 4s / iPad 2 to iOS 6.1.3 Using 3uTools How to Upgrade 16GB iPhone to 128GB through Replacing Hard Disk? How to Solve the Issue 3uTools Frequently Shows Operation Failure ? 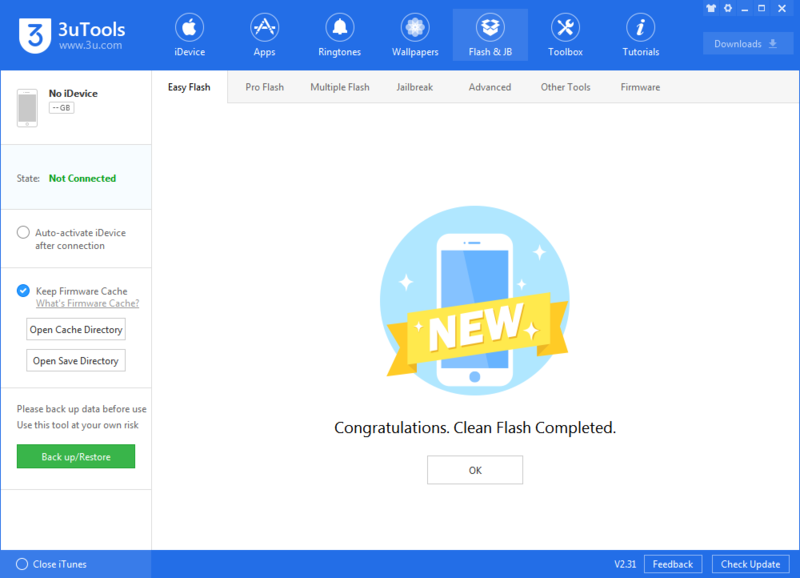 3uTools Downgrades iPhone 4 from iOS7.1.2 to iOS 6.0.1 Tutorial How to Recover an iPhone out of Disabled Mode Using 3uTools?